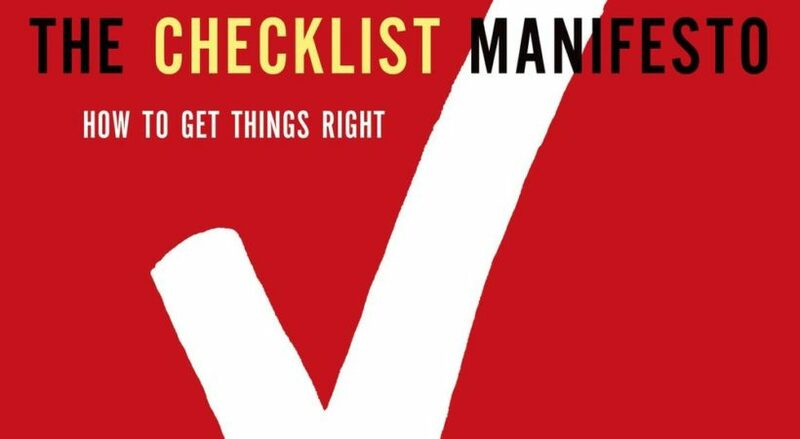 The Checklist Manifesto poses an interesting concept on using checklists to standardize tasks across multiple verticals. The author is a general surgeon focusing mainly on healthcare applications. The carrying premise is that a checklist in the OR can prevent common complications due to complex tasks such as surgery. He posits that checklists are used in variety of industries such as construction/architecture and airlines due to the amount of knowledge needed. Pilots adhere to their checklists religiously and these checklists have been proven to save lives. The author partnered with an international agency to create a base checklist for surgeries that could be modified in each hospital based upon individual needs. Initial implementations failed from too many steps, lack of buy-in, and failure to educate on how to conduct the checklist. The checklist is a living document. It must be revised during its creation until it works smoothly. It should be reviewed often for accuracy and relevancy. In order for the process to work, the lists must be available. The checklist is not just ‘checking the box,’ the actions must be verified and preferably checked off by the individual completing the task. I recommend adding this to your reading list. I have now applied this methodology to my personal life in repeatable tasks for winterizing the motorcycle.